Metro FD “OKC” DC Recommendation to USE SMOOTHBORE YES!!! Curt Isakson will be Live Today at 2 PM Central on CF TACTICS FACEBOOK talking about the It’s Worth The Risk mentality and Risk Aversion. What direction is the Fire Service going? Is it a geographical thing in reference the mentality of what risk will be taken? What are we focused on and training on? Why this one, when a nearly 3,000 a year Die? Who comes 1st, Them or Us? How does our obligation as Firefighters compare to the Armed Forces? This could last an hour. 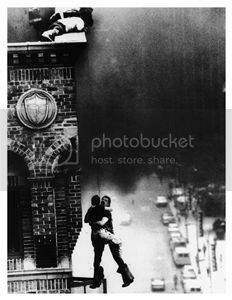 Do we The America Fire Service want to make the Picture below our Standard of Rescue? Fort Walton Beach FD Engine 7 under the Command of David Stone performs a VES of what was classified as a vacant and pulls Women to safety. Women was conscious and talking before she got transported. Watch Video. Firefighters are SAVING MORE LIVES EACH WEEK FROM AGGRESSIVE SEARCHES THAN WE LOSE FIREFIGHTERS IN A YEAR!!! Search for them because It’s Worth The Risk and based on the numbers the Risk might not even be what some think it is. Great Job Engine 7 and all involved. Only 100 Spots to Five CFT Conferences for one low price.